The message of Spring is carried on the wind. That wind allows the trees to speak and spread the word that a new day approaches. If you listen …carefully, you will hear the whispers, the soft faint whispers of the forest announcing the arrival of Spring. 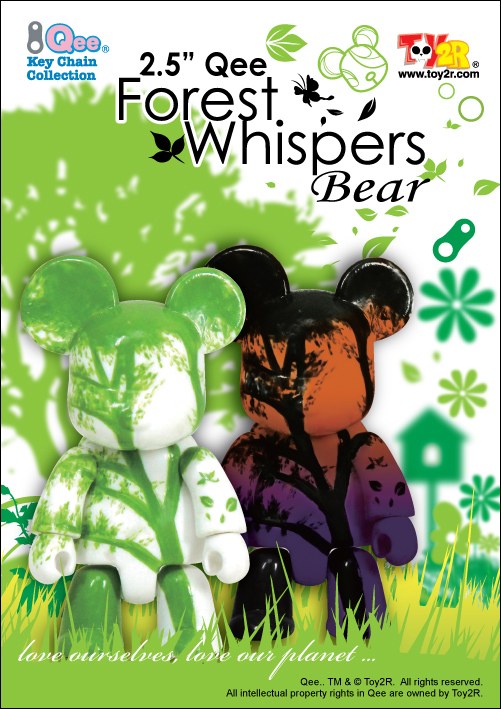 Toy2R proudly announces the release of the new limited edition 2.5 Inch Forest Whispers Qee Bear Set in honor of Spring. As part of the ongoing 10th Anniversary Celebration of Qee, this two pack reminds us of the beauty that is nature during the day and night. Limited to only 500 sets worldwide, collect yours then sit back and listen to the Forest Whispers…it brings hope and renewal. Retail price on this 2-piece boxed set is $25, email us if you're interested as we plan on ordering some of these. 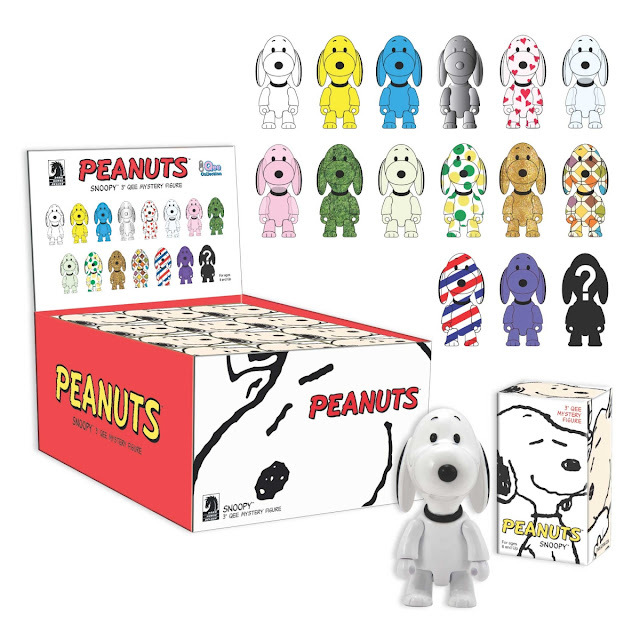 Scheduled to arrive in October, this is an officially licensed Peanuts product produced by Toy2R for Dark Horse. Each blind box will retail for $8.99 and you can preorder them here. You can also preorder a full sealed case of 15 here. There will be 15 different Snoopy variants to collect! 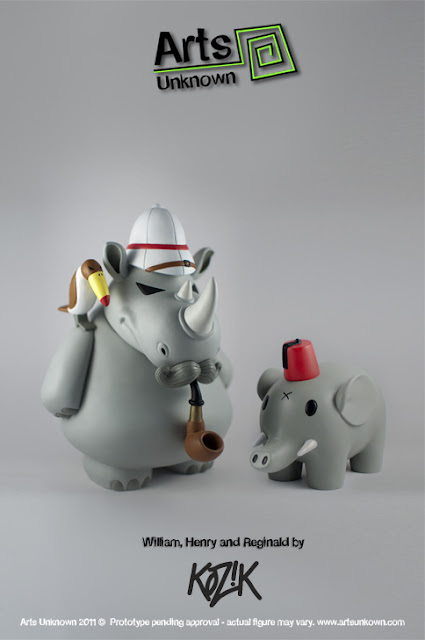 Congratulations to my friend Matt Anderson for his win in Kidrobot's Munnyworld Mega Contest! Matt won in the "Best Use of Electronics" category for his "Mad Scientist" custom Foomi (which he bought from us, by the way). 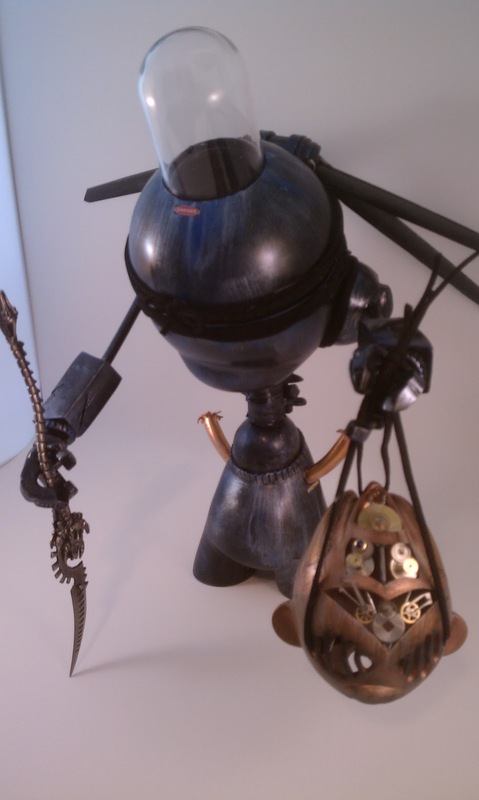 Squink, one of the judges for this contest and a fellow toy customizer, commented: "This custom stood out straight away, the steampunk vibe, that goggle based glow. Just a gorgeous, really clean piece of work, a deserving winner!" 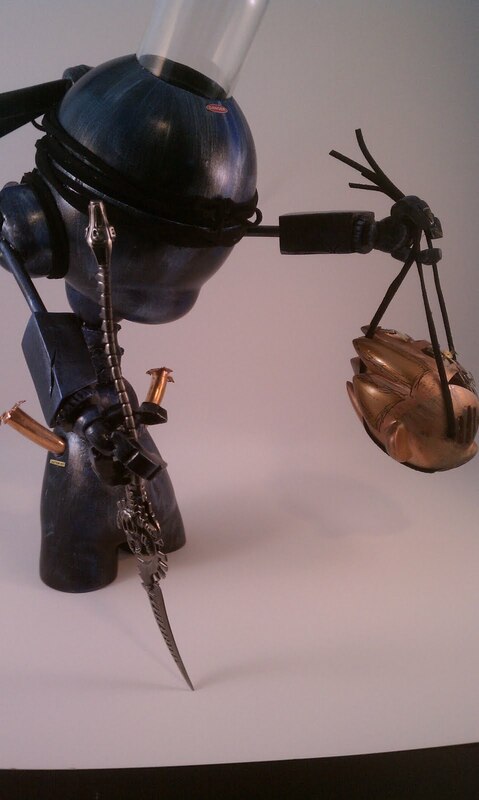 Matt continues to progress in his style with the above custom which he called "The Assassin." This custom is based (loosely) on a 7-inch Munny and a 4-inch Foomi, plus lots of other parts and pieces. The piece will be shown at the Urban Decay II show in Virginia in June. We are happy to continue supporting Matt, and lots of other toy customizers, as they work to perfect their craft! Please LIKE the Tenacious Toys Facebook page! 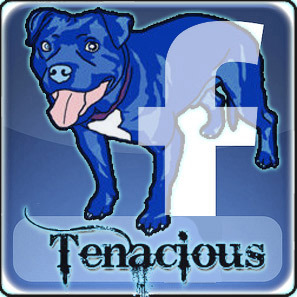 After several years posting to a personal account, we have finally created a Facebook Fan page for Tenacious Toys! Please click on the image above to go to our page and Like it! All further toy updates will appear there. You can continue to harass Benny at his personal page here. The first releases from newcomer Arts Unknown are looking strong, with pieces by Doktor A, Gary Baseman and Frank Kozik. 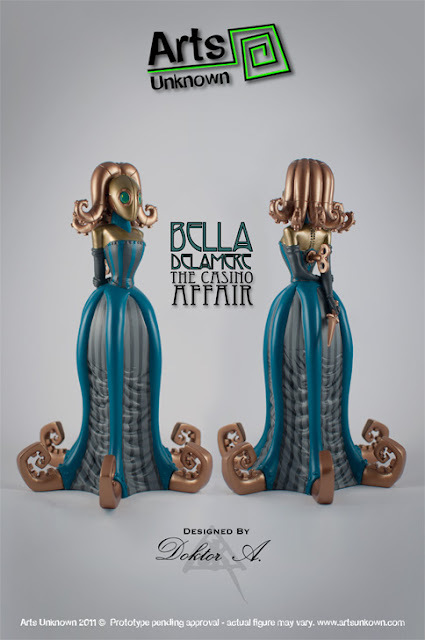 Each piece is vinyl and around 8 inches tall, with a run size of 350 pieces. Each figure you see pictured will also have a randomly inserted chase colorway. No word on how rare those are, or indeed actual pics of the chases, but they'll be in there somewhere for a few lucky people. All 3 figures are slated to be released in Q3 of 2011 (July, Aug or September). Frank Kozik's 3-piece set will be priced at $109.99, and the Baseman and Dok A pieces will be $99.99 each. William, the Rhino in Frank Kozik's set, will have a switch-out cigarette to as an additional accessory (which you can switch out for the pipe). More info on preordering will be updated in this post later. Feel free to email us if you want to get on our list- no money needs to change hands at this time but your figure can be reserved for you if you wish. Matt Anderson customizes toys using electronics and heavy sculpting work. As he progresses, his pieces are diverging more sharply from the platforms they are based on. You can find some of Matt's custom Mini Qees here in our shop. Matt has a website and he's on Facebook. Evilos shares with us the light-up technology he's employing in his current Tron Legacy-themed customs. This is an Android figure, designed by Andrew Bell for Google. We're going to have him working on a few more pieces, exclusively for our shop. Go check Evilos on his website and Facebook. 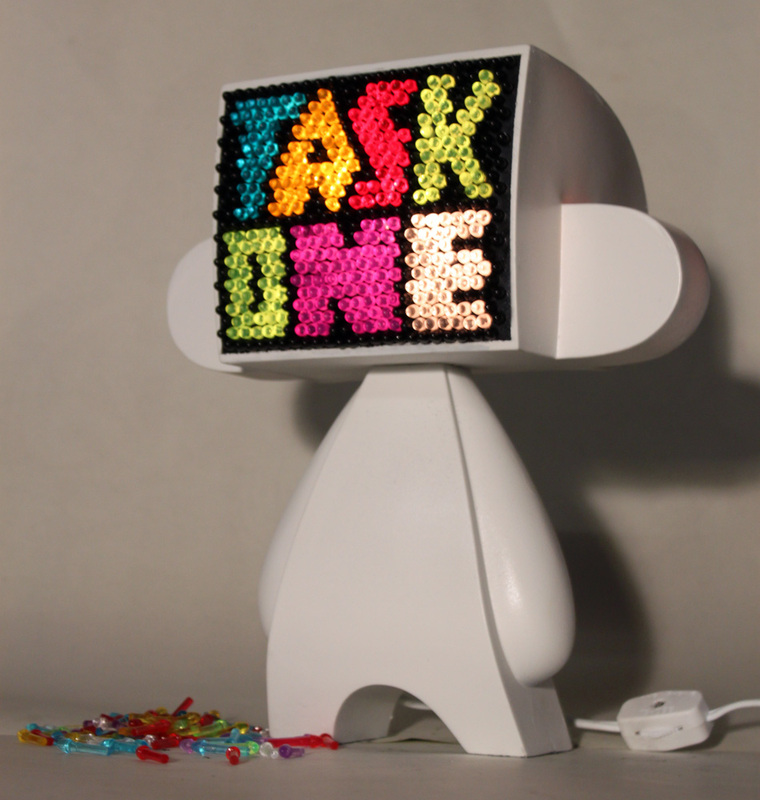 And of course, when discussing electronics, the survey would not be complete without mentioning TaskOne, the godfather of creative electronics usage in custom toys. Above video is of Task's piece for the "They Came from the Streets" show and it does not have any electronics, but the sculpting is incredible. Go check out TaskOne's website, Facebook and YouTube for more. When Jon Malmstedt first came to me with his Mini Kaiju Cupcake custom series idea, the first artist that popped into my head was NREAZON. 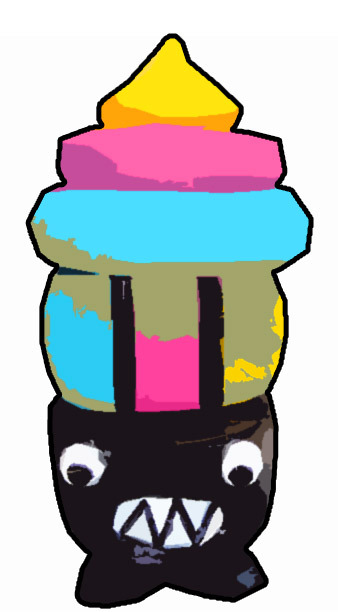 NREAZON already has a pretty big roster of food characters- her logo is a skull ice cream cone! As it turns out, NREAZON took the cupcakes we sent her and sculpted the crap out of them. Each of her cupcake pieces is completely different. Above is one of her customs, veiled with my secret blend of Photoshopped cartoonification. OK, OK, it's not really obscured all that much, considering it's supposed to be "teaser"... but there are 4 other NREAZON pieces that look totally different, so it's really not revealing much! Stay tuned to this blog next week when we'll reveal the ratio info and more clear images of NREAZON's custom Cupcakes, as well as the other 4 artists' work. Mental note: keep tabs on Christopher Avalos. 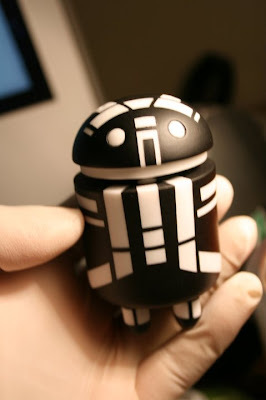 This Burbank resident works in the film industry and picked up a few DIY Androids from us a while back. 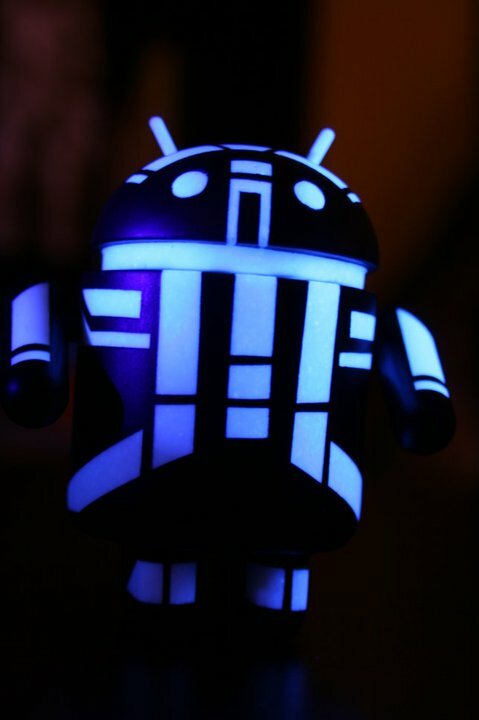 All of a sudden, some sick custom Androids start popping up on his Facebook page. Coincidence? I think not. We have some talented clients! Excited to see more work from Evilos. FYI he's @EvilosArt on Twitter.